Swissport’s long-term partnership with Air New Zealand has commenced with ground handling services underway in Melbourne. 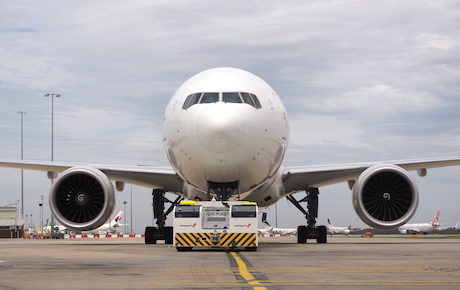 Air New Zealand selected Swissport as its Australian ground handler following a highly competitive tender process and audit of operations, described by Swissport Pacific CEO Glenn Rutherford as “a huge vote of confidence in the Swissport business in Australia and throughout the world”. “Air New Zealand is looking for build a long-term partnership, which is also a priority for us. It is truly an honour to represent Air New Zealand at its four largest Australian operations,” Mr Rutherford said. Swissport will handle 8,000 additional flights, with operations commencing at Sydney Airport on 27 November, Brisbane Airport in February and Perth Airport in March. Swissport has supported Air New Zealand’s seasonal services into Cairns, the Gold Coast and Sunshine Coast for several years. Air New Zealand group’s global network provides air passenger services and cargo transport services to, from and within New Zealand to more than 15 million passengers a year. Swissport International AG, on behalf of more than 850 client-companies, provides best-in-class airport ground services for some 265 million passengers annually and handles approximately 4.7 million tonnes of air cargo at 133 warehouses worldwide. With a workforce of 68,000, the world’s leading provider of ground and air cargo services, is active at 315 airports in 50 countries across all five continents. In 2017 the group generated consolidated operating revenue of EUR 2.8 billion. To contact us about charters, employment opportunities, baggage, lost property or general enquiries, please see the locations page for details.